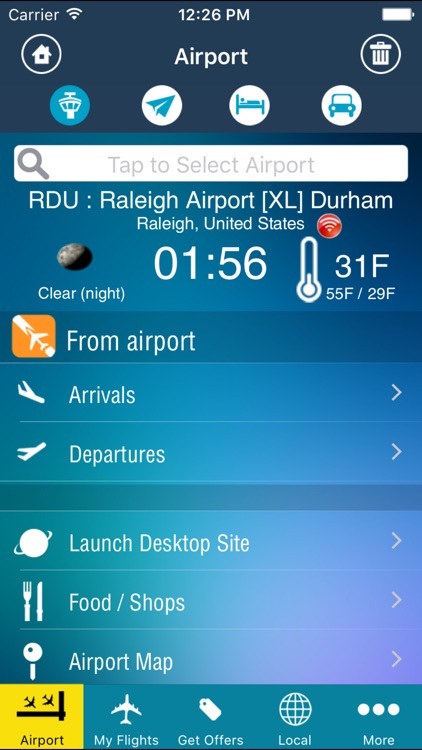 Raleigh Durham International Airport (RDU) serves the state capital region and the Research Triangle of North Carolina. 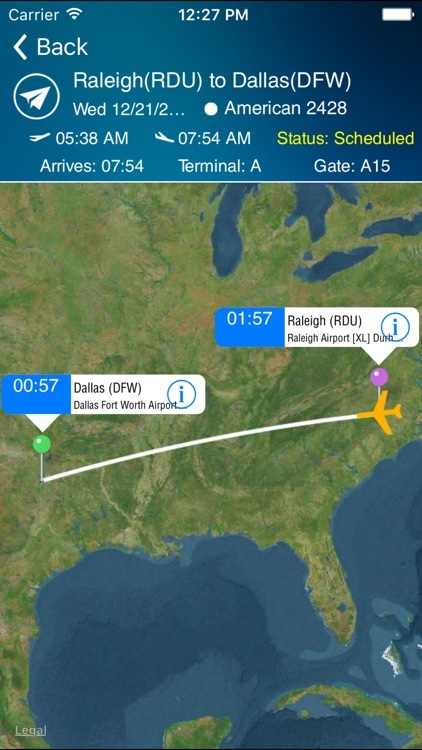 The airport is located about 18 miles northeast of downtown Raleigh. 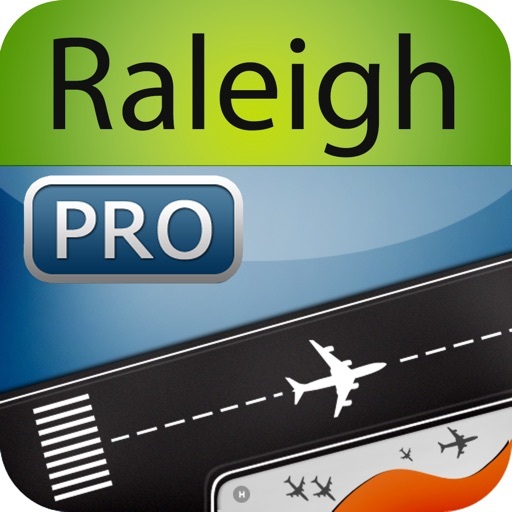 This app provides complete information for Raleigh Durham Airport including parking, food and restaurants, terminal maps, directions and more. 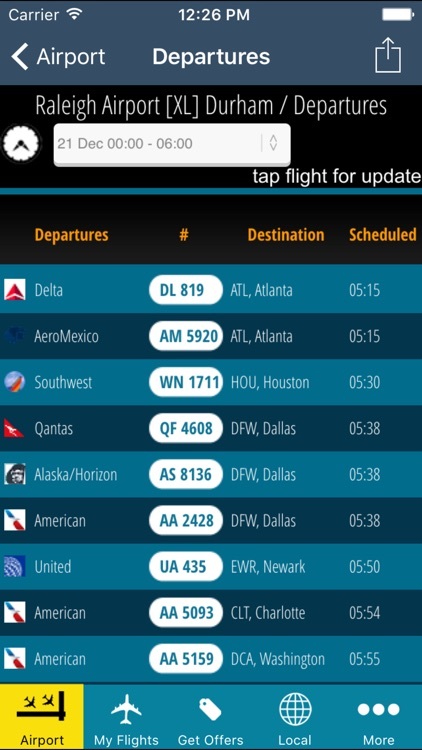 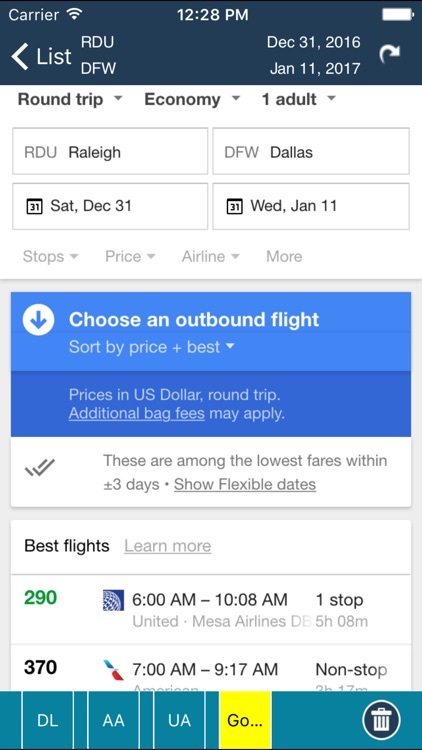 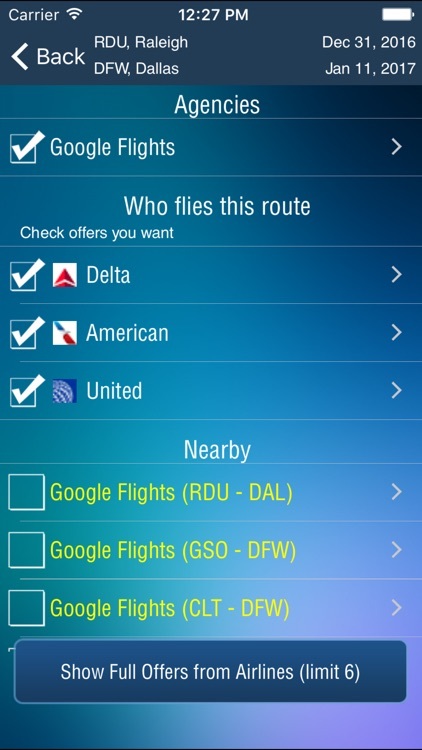 No other app provides as much information on Raleigh Durham Airport--useful information you need.